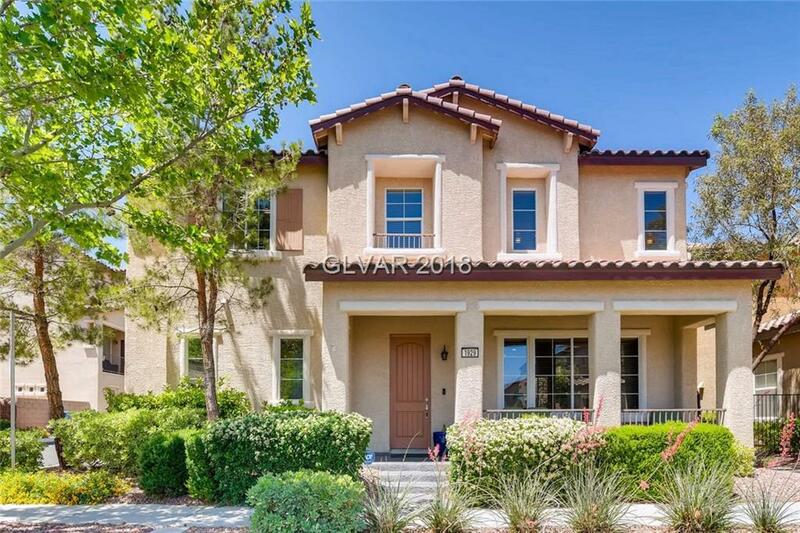 This home has so much charm, an open floor plan and walking distance to downtown Summerlin and Red Rock. Tile floor throughout first floor, granite counter tops, loft with built in bookshelf and huge master suite. Covered porch entry and back patio with stamped concrete and beautiful landscaping. Shows like a model.